Unfortunately, having an old fashioned copier can have a dramatic impact on the quality of your printing. It can hold up the office, lower productivity and it can even hurt your sales message. Newer technology will often have better looking prints, which is why an upgrade could actually benefit your business. A lot of old-fashioned copiers will have that older style push button. They were intended for those who could understand the confusing icons, but today’s generation of copiers has been simplified for better efficiency. The second sign relates to having printing and fax machines on every desk. Offices were designed so that you will stay connected, but today’s copiers should have both faxing and printing services available. It should also be on a large enough scale that it will serve your office to save on electric and expensive replacements. Long line at the copier? That’s another sign that you have a slow or outdated copier that needs an upgrade. You could have a much more productive office, and many times, you will have a higher pages per minute speed. 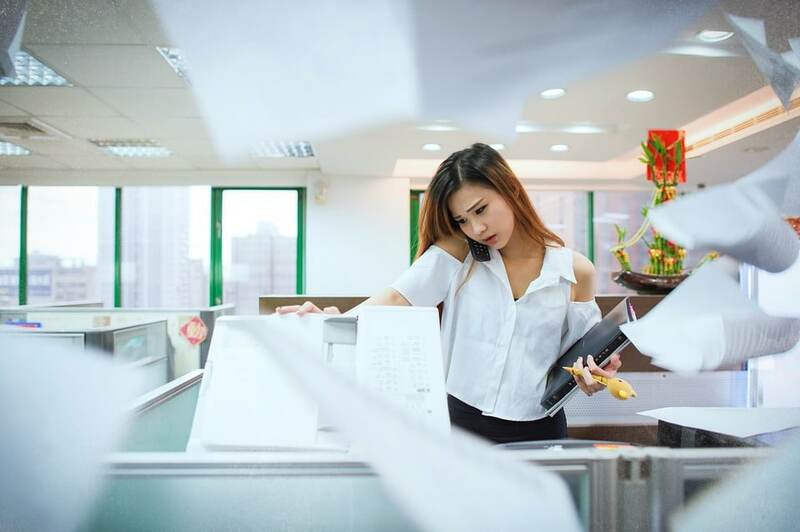 Also, new features like wireless capabilities can eliminate the need for standing around, and that keeps employees productive at their desks when they can just walk over and pick up the document. Finally, does your machine not have a copier port? Excluding Ethernet and power cables, an office copier will often have a number of additional ports like USB connections for uploading images to flash drives. If you have a need for greater USB storage, you may want to switch to newer technology.